Audioboom / 4-Panel Vol. 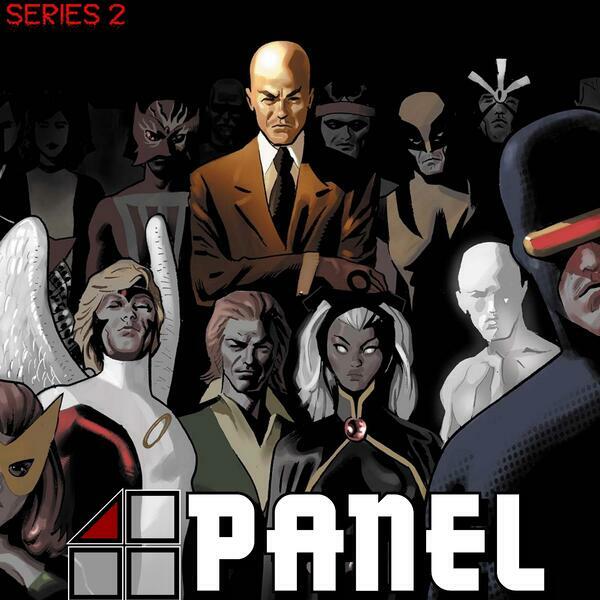 2, Issue 1 - X-Men in the MCU? Kicking things off this week, Andrew and Producer Rob discuss what the X-Men might look like once they finally join the MCU while offering up a few ideas of their own - which leads to some some interesting possibilities. After it's business as usual with some comics and manga, and this time we're featuring Rome West, Marvel 2 in 1: The Thing and The Human Torch - Fate of the Four, The Invincible Iron Man: The Search for Tony Stark, and The Amazing Spider-Man: Family Business. If you like the new look of the show then please give us a 5-star rating on iTunes or your podcast app of choice. If you've enjoyed this podcast then you can follow us on Twitter @TGS_TheGeekShow, or on other social media by searching for The Geek Show. If you want to show your support then head over to Patreon and give whatever you can. Alternatively, we have a shop up and running so head over to The Geek Shop and partake in some of our lovely wares. Thanks, and until next time, when we chat about the Fantastic Four in the MCU, keep it 4-Panel (and don't read anything we wouldn't)..
4-Panel Vol. 2, Issue 2 - The Fantastic Four in the MCU?